We’ll help you assess and plan your cloud services to give you a better understanding of the benefits cloud computing can have on your business. We can help integrate cloud technologies to begin your transformation, or manage and optimise existing cloud strategies. 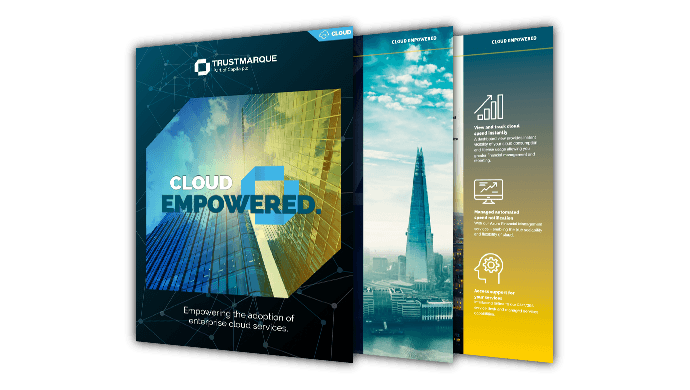 Why choose Trustmarque cloud services? At Trustmarque, we understand that there is no one-size-fits all model to making cloud work. Whether you are in the middle of your cloud strategy or just beginning your transformation, we can help you determine a clear path for the adoption and management of cloud technologies to ultimately deliver business value faster. From our 8600ft2 IL3 datacentre, we can help you move the right workloads to the Cloud and integrate your applications swiftly and securely. We provide our customers with a comprehensive, end-to-end cloud service from licensing and provisioning through to on-going support and management. Trustmarque is also a recognised Microsoft Cloud Service Provider, a G-Cloud 9 framework provider and is Microsoft’s Number 1 Cloud partner to the Public Sector. Simply: We help you find the right cloud solutions that deliver real benefits for your business. It’s time to start your journey. Empower your business with cloud computing. Discover more about our cloud services. We have helped thousands of customers from a range of industries, both in the private and public sectors, develop their bespoke journey to the cloud. Using our collective industry insight and experience, we can with cloud migration to achieve your required goals. Microsoft Azure is a public cloud computing platform, which provides a safe and adaptable platform that supports a wide range of technologies in UK-based Data Centres. Our Microsoft Azure services offer you flexible support, no matter whether you are starting your journey to the Cloud or deploying business critical applications. Trustmarque’s Cloud Enterprise Services Portal is a one-stop shop to manage and procure your Microsoft cloud products and services all in one place. With our innovative Cloud Enterprise Services Portal, we can you discover the simple way of purchasing and managing cloud. Trustmarque is a proud supplier to G-Cloud 9; a framework aimed at making public sector procurement simpler. The Public Cloud is based on shared hardware provisioned by a third-party provider. For companies, this means no hardware, bandwidth or maintenance costs to worry about. It also means that IT resources, such as applications and storage, can be deployed quicker and easier. We empower organisations to discover the benefits of Public Cloud services. Our market leading industry experts collaborate with organisations at every stage of the Cloud journey – advising, implementing and deploying innovative solutions to deliver successful outcomes. Private cloud offers a dedicated instance of our Cloud infrastructure platform, devoted for one single customer. Trustmarque’s Private Cloud services helps organisations adopt private Cloud technologies or Cloud platforms. We provide independent and expert advice on which IT services, applications and processes would benefit from migration to the Cloud. Hybrid Cloud offers a mix of private and public cloud services to provide the security of private clouds and the huge scalability of public clouds. IT departments have the ability to combine on-premise infrastructure or internal private cloud with external cloud-based environments all at the same time. We offer Hybrid Cloud solutions between customers’ own private Clouds, our multi-tenant Cloud and public Cloud services such as O365 and Azure, so that customers can consume the best services for each area of their business. The complexity and expense of managing underlying infrastructure can be challenging to organisations, as their needs fluctuate. Our highly experienced team of analysts, architects and deployment specialists’ work with organisations to design and deliver optimum cloud infrastructures that improve productivity. Application Services provide organisations with a platform where they can transform infrastructure and applications to be cloud-ready. Our Application Services help organisations transform line of business applications or infrastructure so they can be hosted and delivered from the Trustmarque Cloud.  Having a secure, replicated backup that can be recovered quickly or a live replicated infrastructure to keep downtime to a minimum is essential. Trustmarque designs highly available systems that cope with all disaster and operational failure scenarios. We’ve combined our expertise in the latest cloud, infrastructure and application technology with out enterprise IT experience of more than 20 years. Discover some best practices and potential solutions to help your organisation simplify the biggest financial and operational challenges currently associated with cloud adoption in 2017.